Add HTML Special Symbols button into the SCEditor! I do not really like the idea of installing this "Font Awesome" because I think on slower connections makes loading the page a bit slower, so I decided to do something similar but using only pure HTML. * Application: HTML Special Symbols! 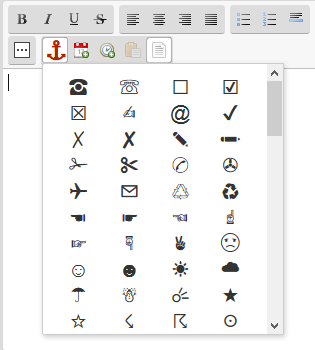 * Description: Add Icons and special symbols only in HTML into the SCEditor! * Remarks: It has only been tested in forums with "charset = utf-8"
* Some parts of the code were extracted from the tutorial "Font Awesome icons" by Dave Gandy. * Made by JScript - 2015/07/07 - based on "Font Awesome icons" by Dave Gandy.
' content: "\\2693";' + // <- Ship anchor icon! Re: Add HTML Special Symbols button into the SCEditor! New icons were added, bringing the total to 418! @JScript very nice ! 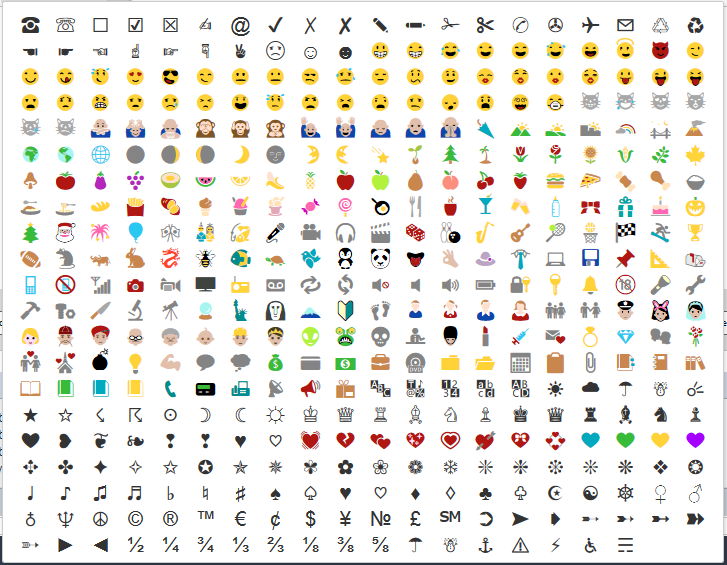 It's like a set of emojis. What old version are you referring to? If you mean Font Awesome, you need to start a support topic in the correct support section. This tutorial is about a HTML character button. Fully worked on PUNBB with no problems ! This will no longer be supported by JScript: https://help.forumotion.com/t151137-in-memory-of-jscript-joao-carlos.